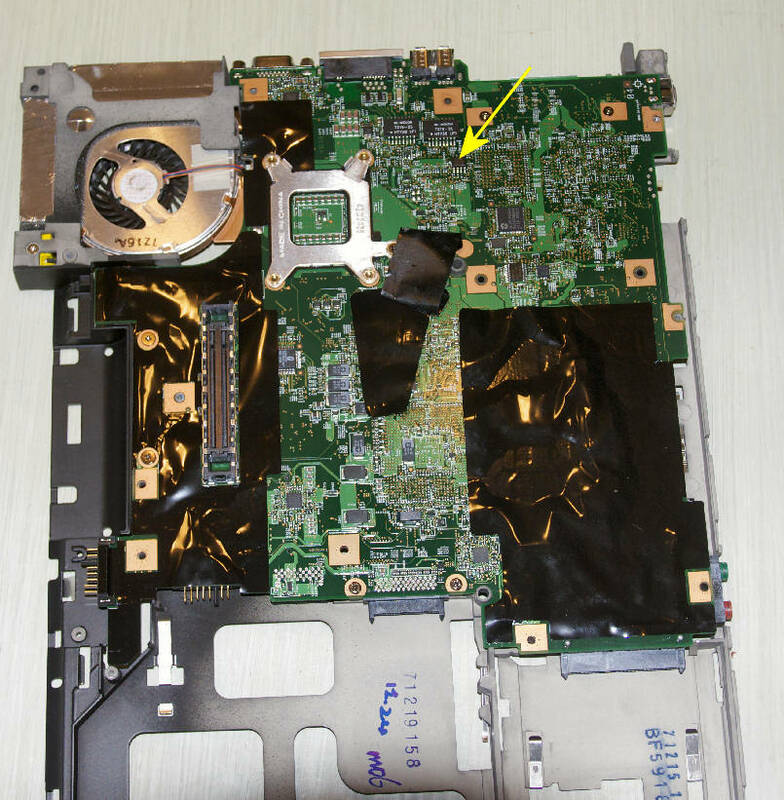 You need to access the 8 pin chip U200, a P24S08 eeprom which is located underneath the system board as illustrated below. 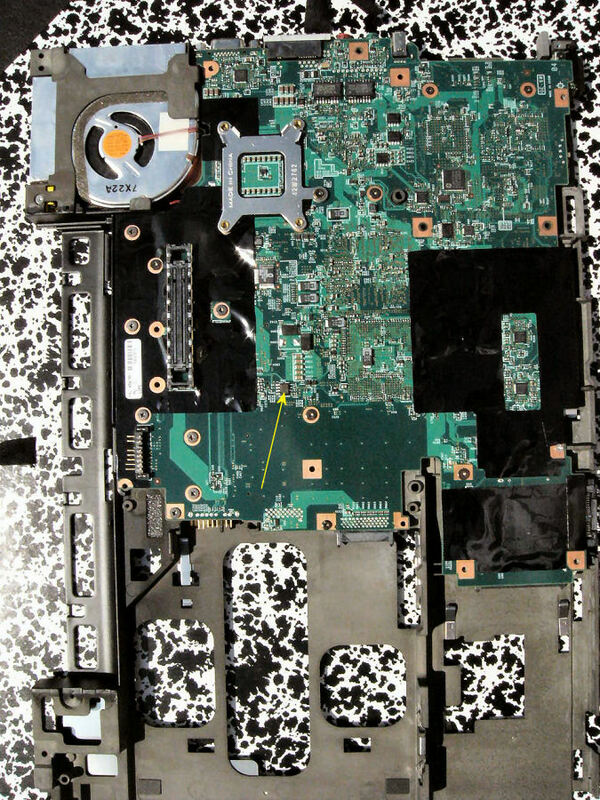 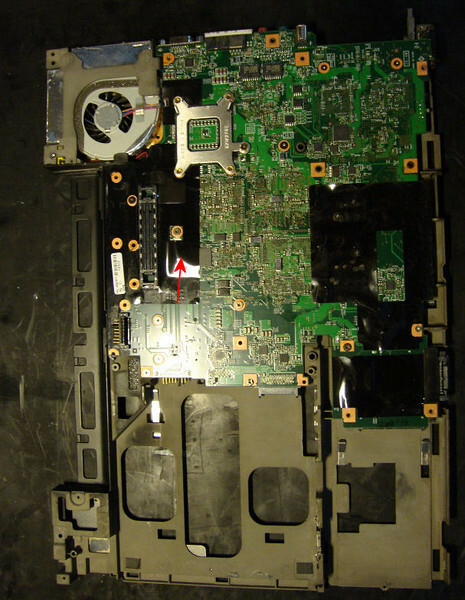 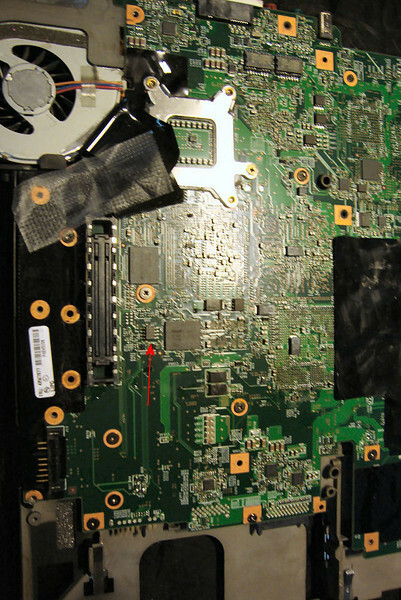 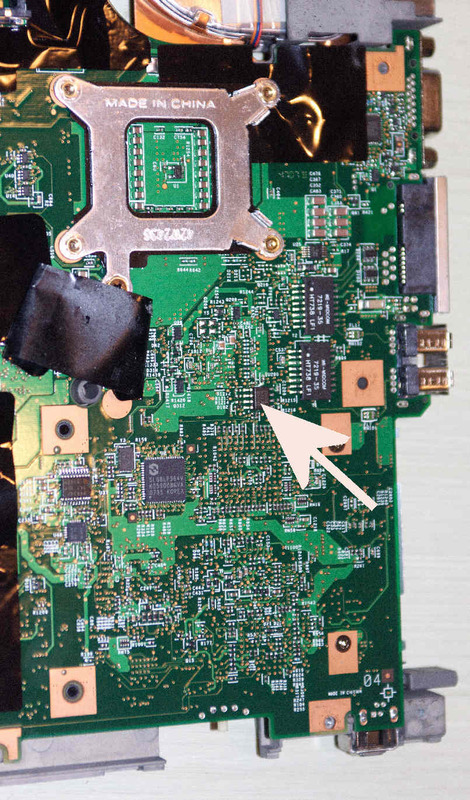 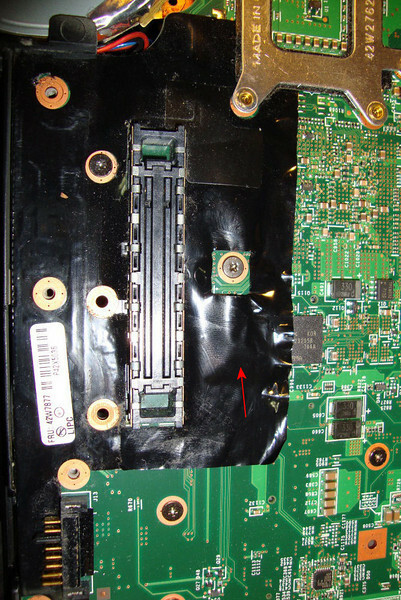 The P24S08 eeprom is located underneath the system board as pictured below. 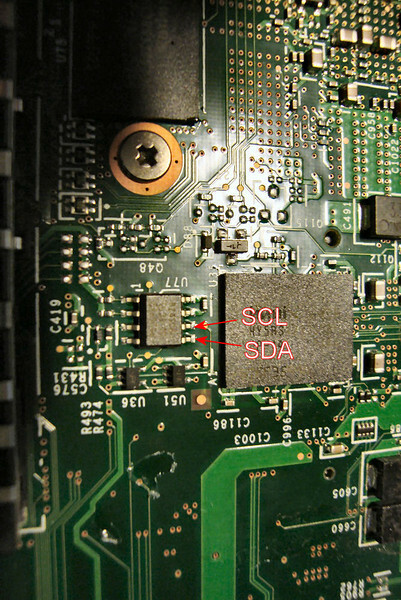 You need to access the 8 pin chip U46, a P24S08 eeprom which is located underneath the system board as illustrated below. 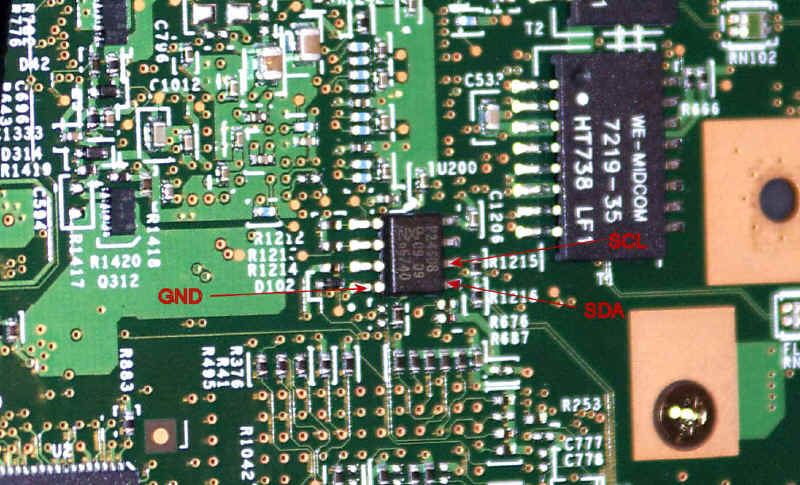 You need to access the 8 pin chip U77, a P24S08 eeprom which is located underneath the system board as illustrated below.